More Playstation VR coverage this week with most of the remaining titles of the launch line-up. Although DriveClub VR turned out to be a disappointment to us, both in terms of visuals and fun, we have been pleasantly surprised by a bunch of them, like Here They Lie for example. Some will complain and say it's just another horrific walking simulator, which it is, but it's really immersive anyway. Robots Rescue, which is part of the collection of games offered in Playroom VR is a nice little platformer you can play with friends, and RIGS is pretty fun if you can take it, figuratively we mean. As for the rest, some games are not always meant for VR, like Super Stardust, or even Hustle Kings to some extent, so VR doesn't add much to the overall experience. If you have more specific questions, just ask! Note: Our videos of Loading Human will be up later today. As for Rez and EVE Valkyrie, it should be tomorrow, or in the evening at the earliest. Shame about Driveclub not being good. Here they lie does look good. can't wait for driveclub and rigs (both look really nice for VR games). will get here they lie later seeing as it seems to be digital only. i'm getting giddy about tomorrow. EDIT: it's weird how rigs has output to the TV with that really strong black circular border. It will be interesting to see if VR will survive into the next generation of consoles where there might actually be enough hardware to drive experiences we are accustomed to by todays standards that are not just on rails or VR tacked onto non VR games. what you want seems to be an oxymoron. you want VR to offer experiences we are accustomed to, but don't like VR "tacking" into traditional games? what exactly do you want? 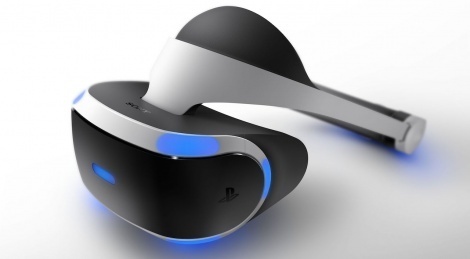 I think we'l be lucky if VR survives into nxt-gen and if it does it will most likely die out before the end of the gen.
What Wheat_Thins said is that if VR survives till the next generation of consoles, PS5 and XB2 (4th Xbox), there might be enough hardware raw processing power to make far more complex VR games, to make them be far more than just "tech demos" or a "gimmick" tackled into non-VR games, as most VR games are right now. Not all, most. In other words, he's talking about a future in which VR games are as feature-rich as today's high-profile AAA titles are and also about games being developed for or with VR since the conception phase of development - having a VR mode being co-developed concurrently with the non-VR mode. You can think of this like the same situation as with Kinect's games back when it launched, where most AAA games just "tackled it" like an afterthought in a Kinect mode - Mass Effect, Skyrim, Need for Speed, Dead Space, Ghost Recon, etc. And then there were Kinect only games, which were very simple in scope with simple gameplay/systems mechanics, very little features and very short length. You could replay Kinect only games over and over, but due to the lack of different gameplay mechanics, very simple design and short length, they would become repetitive very quickly and people would stop playing them after a few sessions - same with Wii Sports and similar games as well. At least right now, VR games are just like those Kinect only games were then - and some would argue that Kinect games never evolved past that, which I agree. Hopefully, VR doesn't fail before it gets a chance to evolve to a point where we will be able to play AAA games like The Witcher 3, Uncharted 4, Ratchet & Clank, Battlefield, Call of Duty, Doom, Fallout 4, etc as they are, with very complex systems, physics and very feature-rich for dozens or hundreds of hours - even if it's 30-60 minutes at a time or hopefully, the Head-Mounted Display devices evolve to allow for more gameplay time. I don't believe VR will fail IF the mainstream adopts it, even if only a very little percentage, but if that doesn't happen it won't be financially feasible to keep developing VR games if they sell too little to make a decent enough ROI (Return On Investment). That's how most big companies work - regardless of industry, they use ROIs to evaluate different projects, and if some projects' ROI are far less than others while they had the same amount of cost of investment/budget, you can be sure the executives will slowly stop the projects with the least ROI and try to make more projects similar to the most profitable ones. Ubisoft is a perfect example of this, Assassin's Creed games became a hit and started selling millions of copies, therefore Ubisoft started developing more and more games with a similar template as Assassin's Creed games. Which worked for a while, maybe it still does to a certain extent. The same case happened with Guitar Hero and Rock Band games a decade ago, the first ones made a huge success (ROI) and the companies flooded the market with so many differnt games and versions that they ended up saturating it. For movies, you can look at Superheores movies, which is why they're making so many of them right now. I want VR to succedd past this initial phase, to a point where most of its potential - if not it's full potential - is actually being realized. But first it needs time to mature, correct its mistakes, make standards and evolve like any technology. He implied all VR games to date are "on rails or VR tacked onto non VR games" and yet he was asking for more traditional experiences that we're accustomed to. you yourself stated "Not all, most." in regards to this very issue. if there are games that exist that are built for VR and offer full fledged experiences akin to what we are "accustomed to", his point makes no sense. unless he is after VR games that is neither an "experience" nor "traditional"? in which case, what does he want? I meant into the terms of game mechanics and graphical fidelity we are accustomed to or for that matter even further. There is no reason why we should have to step back to PS2 / PS3 textures, game mechanics that run on rails or have limited functionality in terms of exploration, etc just because we are implementing VR. But due to the hardware in the current consoles that is exactly what you're going to get. TL;DR give me a full Witcher 3 like experience with no compromise in fidelity, game play mechanics, exploration, etc and I will start considering VR. Can't happen with current console hardware. I don't want to move backwards. You don't seem to understand the requirements of VR. Even next gen, or the gen after or the gen after that you won't get a VR experience the exact same as a "traditional" flat version of a game. VR will not magically stop requiring 60fps (ideally 90 or 120fps) rendered twice per second for stereoscopic 3D. And if that is the baseline requirement, the only way to match the vanilla experience is to nerf the vanilla experience. I do, I just wont be joining the VR crowd unless the bridge / gap is ever closed. Which will more then likely take developers to consider VR headsets their lead platform for that bridge / gap to not exist. That's a very shallow way of looking at VR, though, is it not? I guess it all depends on your personality. For me I'm a black and white guy. Shallow is a term that requires emotion to put into play. When evaluating new hardware I don't really feel emotions are necessary. It's just not ready yet. Until it can offer a better experience then what we currently have right here available right now, why would I bother with it? Right now (for ME personally) it just looks to be a impulse purchase child's toy. Has there even been a successful peripheral for a console, let alone a $400+ dollar peripheral. I would much much rather invest $400+ dollars into a Nintendo NX and a handful of games (if its not garbage) that I know for sure I can enjoy with my family then something I don't feel is ready for prime time yet. I would much much rather invest $400+ dollars into a Nintendo NX and a handful of games. Sorry, but can you state why Drive Club was disappointing visually? Textures/Resolution/FPS? Is it worse than other PSVR titles? Just read different articles saying Drive Club is a vomit fest. Also graphics are a lot worse. But the original dev team was anyway dissolved, right? lol you mean like Kinect. Hopefully PSVR2 won't come bundled with PS5. On more serious note. I think gfx wise we have reached good level but I guess once in VR headset if we can see those detail with full 360 degree and no motion sickness. That sort of experience will be the real immersion. lmfao... that's some short sighted nonsense. VR will outlive you and I. Its been very interesting seeing how people are reacting to vr games the last couple days. Its seriously all over the board. Some people are getting sick to certain games but others not. I've seen people say one game is the best while others saying its the worst. Cant wait to see impressions of Robinson the journey and Re7. Finally got to play my PSVR at 11pm after a long day's work and stupid me decided to play the DriveClubVR demo on the Demo Disc. I couldn't even complete 2 laps before I felt like a was gonna throw up. My stomach was doing jumping jacks all night, even when I went to bed it felt like I was gonna be sick, I had a rough night. I was playing with a controller, does the game feel any different when using a wheel? Is it less disenorinating when using a wheel? I was also experiencing controller drift in the Demo Disc menu screen. Curious. I wonder what causes it. The demo and the full game havn't given me any problems so far. In fact no game has. Which is a surprise since i'm quite prone to getting car sick in real life.